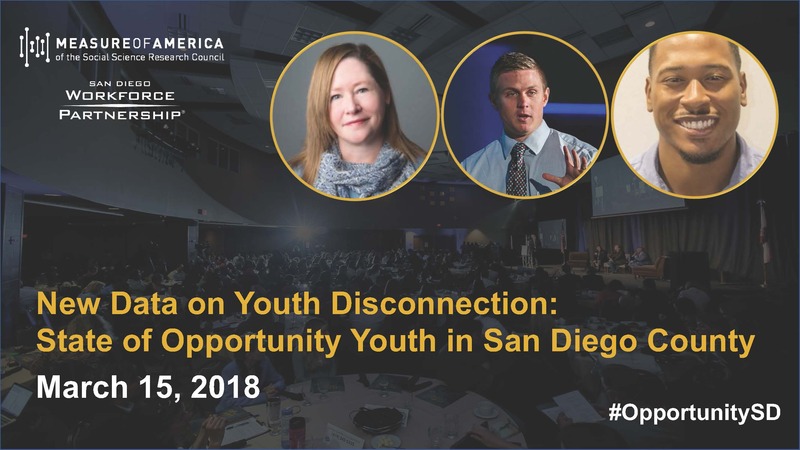 Kristen Lewis participated in "New Data on Youth Disconnection: State of Opportunity Youth in San Diego County," a webinar unveiling the latest numbers on disconnected youth in San Diego calculated by Measure of America. The data is part of a collaboration between the San Diego Workforce Partnership and Measure of America to assess youth disconnection, set goals and track progress in the county. You can watch the recorded webinar and see the slides. For more information on the effort to reduce youth disconnection in San Diego, visit OpportunitySD.org.